I have never met a male, young or old, who didn’t love an adventure. When they aren’t on an adventure, they love reading about adventures or watching movies about adventures (you have no idea how many times I’ve seen The Hobbit/Lord of the Rings films with my guys – or read the books for that matter). Well, I was without my husband all weekend because he was off on his own adventure. 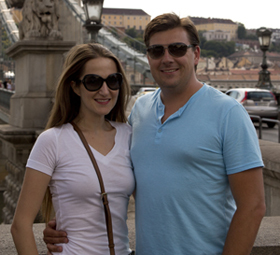 It isn’t often that we are apart, especially overnight, so it was hard for me to be without him for a few days. He had a wonderful trip, though, and I am so glad that he had the opportunity to do something that he has wanted to do for a very long time. So, just where did he go? 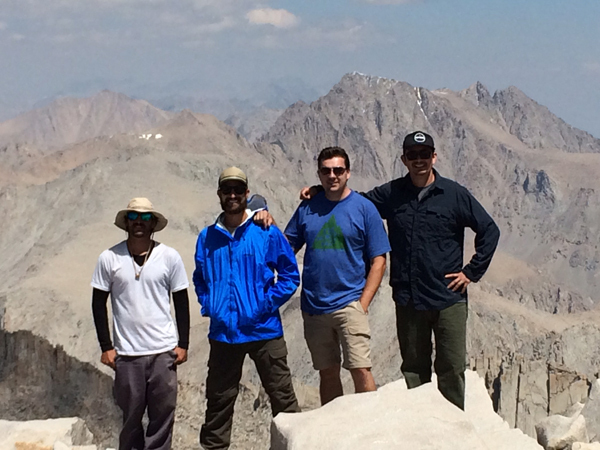 Well, over the weekend David and some friends had permits to climb Mount Whitney, which at 14,505 feet (4,421 meters for our European friends) is the highest summit in the contiguous United States. Permits are required year round and a limited amount of backpacking and hiking permits are issued by the U.S. Forrest Service during the summer months (they actually have a lottery for the permits every year). When David’s friend won the permit lottery, he asked David if he wanted to go and thus, the adventure began. David is big time into being prepared (he was a Hungarian Scout after all) so he spent a lot of time researching the trails and what kind of equipment he would need. We live next to great hiking trails and have done a lot of day hikes over the years backpacking is a lot more involved than hiking the local trails. There was a lot of shopping involved to round out his equipment. I was keen to help him on shopping trips because while he gathered his supplies, I amassed a fair amount of new yoga outfits. Really, it was a win/win situation because I got to spend a lot of one on one time with David AND I attained cool swag. 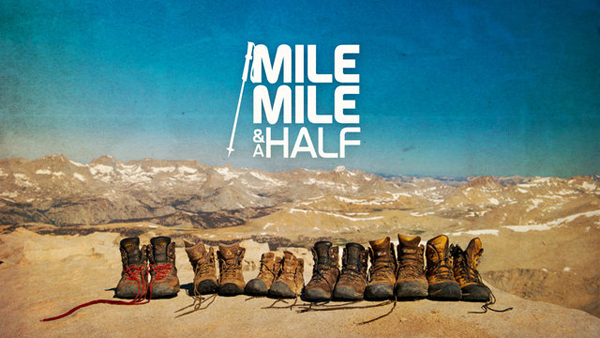 As far as mental preparation goes, David was in pretty good shape (again, being a Hungarian Scout taught him to be prepared), but he did find this documentary called Mile…Mile and a Half (you can buy it on Amazon ) that he wanted me to watch with him. The film follows a group of friends on their 25 day journey over California’s 219 mile historic John Muir Trail which spans from Yosemite to Mt. Whitney. I thought the film would be mildly interesting but I ended up being blown away by the stunning visuals and I fell in love with the group of friends and the eclectic array of hikers that they met along the way. I would definitely recommend it to anyone interested in the John Muir Trail or backpacking/adventuring in general. It held the attention of not only me and David but of the boys and my mom (who stayed awake to watch the whole film even though it was well after dark before we got started… if you know my mom, this is a huge feat). 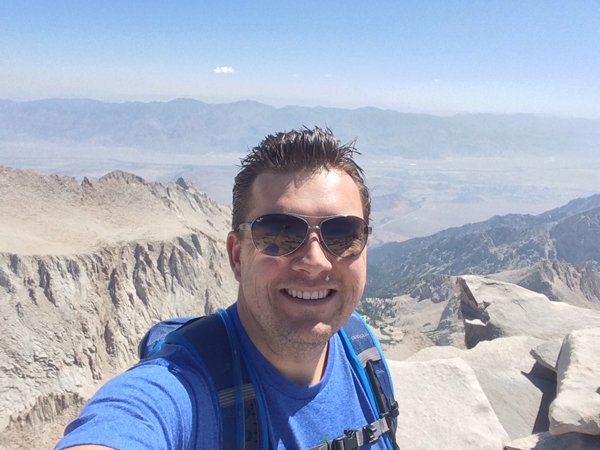 To physically prepare for their summit, David and his buddies took a couple of backpacking trips over the last several weeks so they could get a couple of practice hikes under their belts before their big climb. 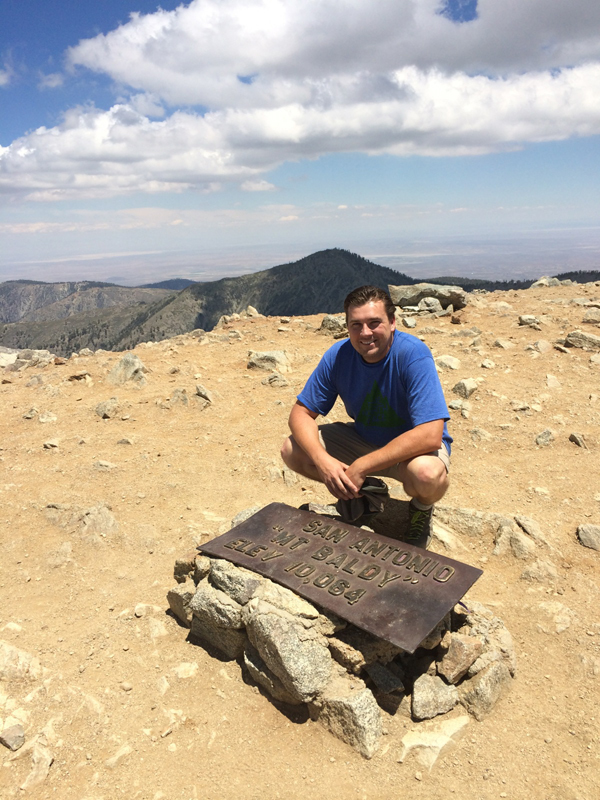 The first hike was to Mount Baldy (which is officially named Mount San Antonio… but NO ONE ever calls it that, especially if they are from California). Mount Baldy is the highest point in Los Angeles County (10,068 feet/3,069 meters) and is considered to be a moderate hike. The guys used it as a test run for all of their backpacking equipment. David was especially glad he did this hike because he was able to tell what he really needed and what was excessive (and that he definitely preferred his hiking shoes over his hiking boots). 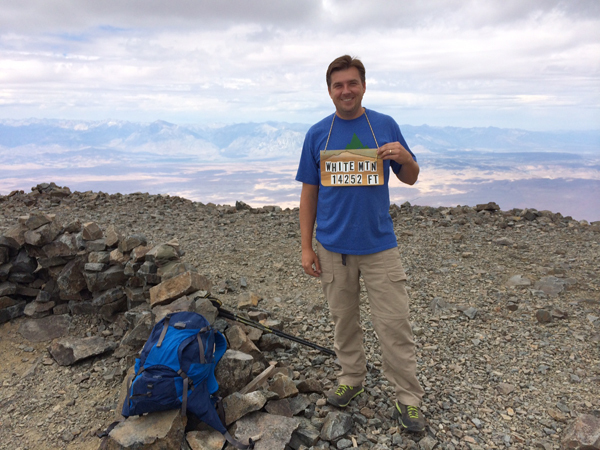 Their next trip was to climb White Mountain (14,252 feet/4,344 meters). Many say that White Mountain is California’s easiest fourteener (you can get to it via jeep road) but the guys added this to their training to make sure that the altitude wasn’t going to bother them. I had no doubt that David would adjust to the altitude with no problems (he’s never had an issue on any of our many trips to Colorado), but he felt reassured knowing that he made it to the top without any complications. 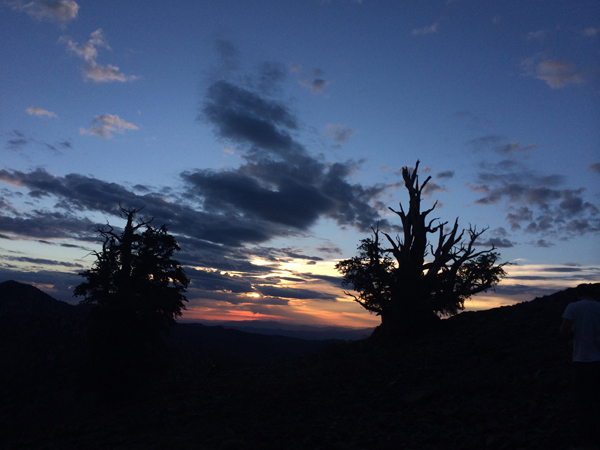 David said that one of the highlights of this trip was checking out the bristlecone pines which are some of the oldest known trees in the world (one of them… “Methuselah” is 4,846 years old).